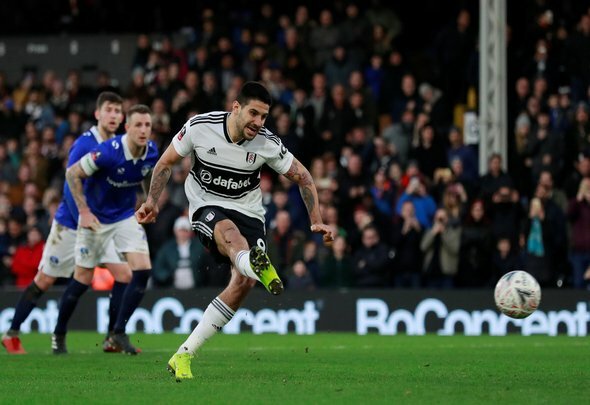 Charlies Nicholas has urged West Ham to make a move for Fulham forward Aleksandar Mitrovic, suggesting that he is the right kind of player for the club. The Serbian international has been linked with £30 million move across the capital, as reported in the Telegraph, and Nicholas believes it would be a shrewd piece of business for the Hammers. Speaking on Soccer Saturday (Sky Sports News, April 13th, 13.25), he said: “I don’t see why West Ham wouldn’t be interested in someone who is going to link up play, bringing your more creative players into the team. “I think they need a little bit of freshness up front, definitely. On the face of it, Mitrovic could be a wonderful signing for the Hammers. The Serbian is a classic centre forward, a bustling, harrying nuisance who will let any centre back he comes up against know that they are in for an afternoon of it against him. The key, however, will be getting the right kind of players around him. There’s not really much point in bringing in a target man like Mitrovic if you haven’t got the players to get up and support him. He isn’t blessed with blistering pace, and he is never going to stretch the defence in the way that other, more mobile forwards are, but he could still be a real handful if he has positive runners getting beyond him. You would have to say that the likes of Manuel Lanzini would thrive with him in the side, as would Marko Arnautovic. Whether Arnie is there next season, however, is a completely different kettle of fish.